Subsequent to Justice Katju's explosive revelations over the executive interference on judicial appointments, the Central Govt.seems more keen than ever to bring about a constitutional amendment in order to broaden the criteria and process for selection of judges to the High Courts as well as the Supreme Court. Amendments to Articles 124(2) and 217(1), both of which seek to entrust the appointment of judges to the SC and HC through a consultation with senior most members of the judiciary, are proposed to be made in order to revoke the judge-appointing-judge system. The Central Govt is seeking the constitutional amendment path for a two fold purpose- not only will it clear up the ambiguity in the constitutional provisions regarding appointment of judges and chalk out a specific route for their selection, it would also be a fortified option as opposed to a law regarding appointment of judges which may run the risk of getting struck down by the Apex Court. The CJI headed collegium system has off late been under intense scrutiny and former members of the judiciary themselves have come out to openly criticise the system which was entirely evolved through landmark judgments handed out by the Apex Court through the 1990s. Though the move to inject reasonable executive interference in the judiciary was initiated by the UPA government, the BJP has unequivocally supported the said Judicial Appointments Committee Bill in order to bring about transparency of appointment. The JAC Bill 2013 proposes a six member panel comprising of two judges, the law minister and two eminent citizens which would be headed by the Chief Justice of India. The Bill further provides for selection of eminent citizens through yet another high-level committee comprising of the Prime Minister, the CJI as well as the Leader of Opposition in Lok Sabha. The government has also sought suggestions and opinions from political parties across the country inviting their comments and views over the appointments made in the higher judiciary and setting up of a judicial appointment commission to facilitate the same. 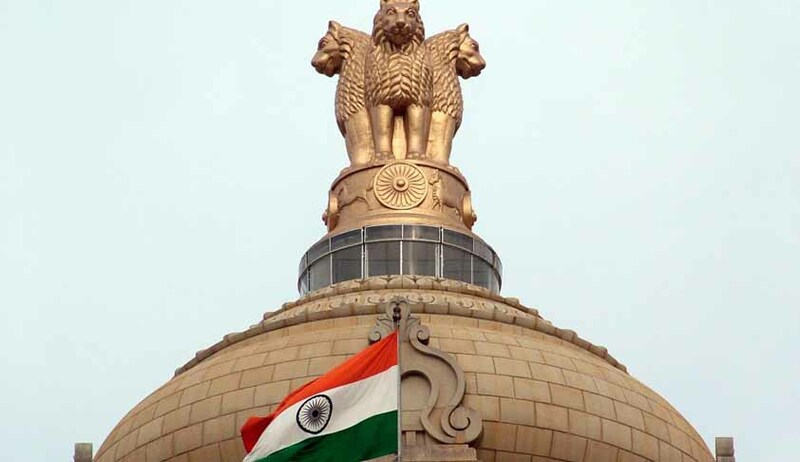 Law Minister Mr. Ravi Shankar Prasad had earlier indicated that the Govt.wished to rework upon the UPA govt's constitutional amendment bill and thereby involve the executive in the appointment of judges. The Centre has indicated from time to time on how it was desirous of setting up a National Judicial Commission comprising of both the executive as well as judicial members, with weightage to the latter in order to not deprive the Commission from the component of judicial acumen and expertise needed to appoint meritorious individuals in the top constitutional posts of the country.